1. Download the driver from the website. 3. Connect the USB cable and power cable to the unit. 4. A Found New Hardware window will appear. 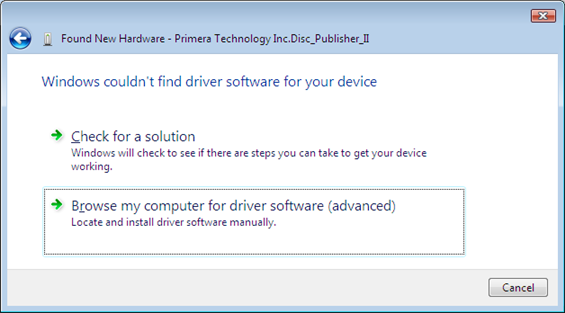 Click "Locate and install driver software." 5. The computer screen will now become a few shades darker and the following message will appear. "Windows needs your permission to continue." This is a normal Windows Vista message for all software installation. Click "Continue." 6. 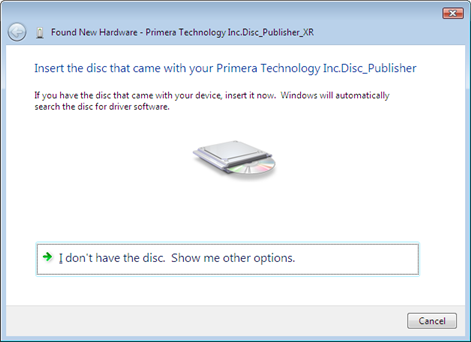 Click "I don't have the disc. Show me other options." 7. Click "Browse my computer for driver software." 8. 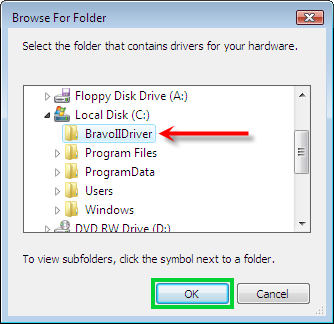 Click the "Browse" button to locate the driver software. 9. Use the scroll bar to find the C-Drive. Click the triangle to open it. Click the appropriate driver folder for your printer. Click "OK."
10. The path to the driver folder will now be displayed. Verify it is correct. Click "Next." 11. 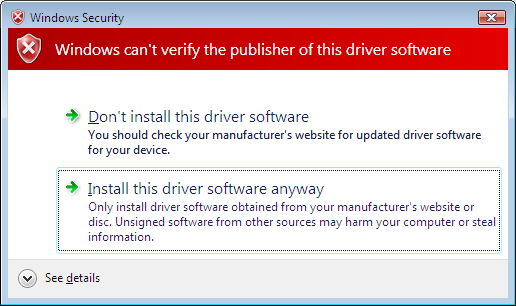 A window will appear stating that "Windows can't verify the publisher of this software." This is completely normal. 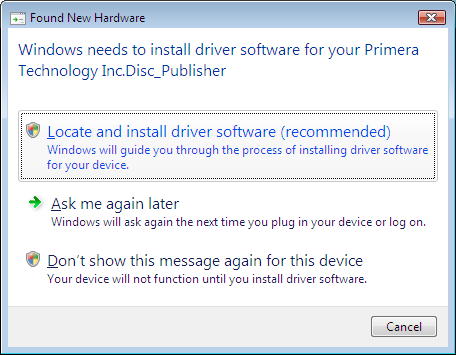 You must click Install this driver software anyway to complete the installation. 12. An "Installing software" message will appear. 13. You should receive a message stating the software has been installed successfully. Click "Close."